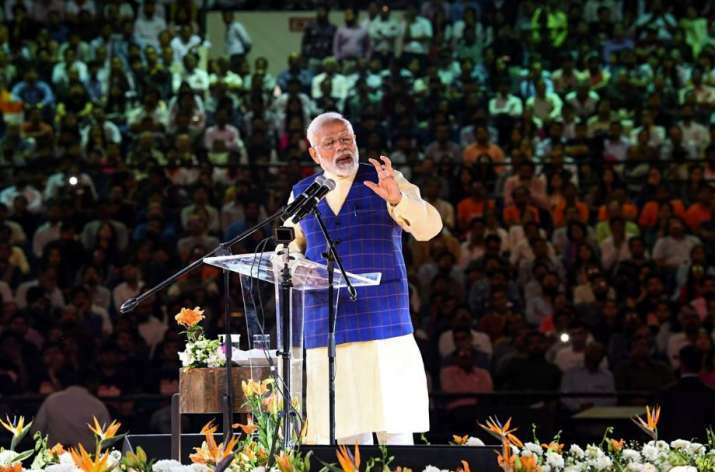 The day after solving the problems of school students in a special town hall 'Pareeksha Per Charcha' in New Delhi, Prime Minister Narendra Modi today addressed another townhall, wherein he aimed to help and inspire the youth of the nation. Addressing the New India Youth Conclave 2019 in Gujarat's Surat, the PM said that India was changing because Indians have decided to change. Three lakh companies were shut down after demonetization and nobody thought black money could be curbed, he said. In an apparent dig at the Gandhi-Nehru family, PM Modi said those who made the country tremble and turned it into jail are now making rounds of courts. The prime minister said no one had thought that a 'chaiwalla' would challenge them.